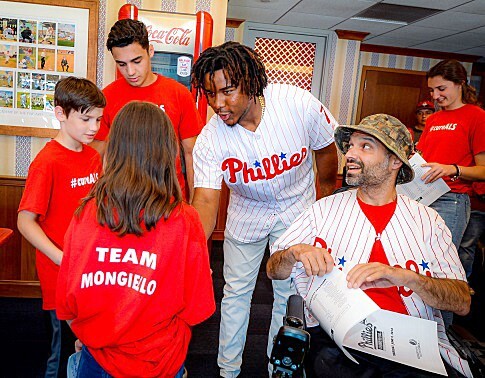 In other Phillies news, St. Anthony of Padua School student Sasha Flynn is looking forward to an exciting night at the ballpark this weekend. She will be honored on the field before Saturday’s (May 6) game against the Washington Nationals as a 2017 Most Improved Reader during the annual Comcast Phanatic About Reading Night. Teachers nominated the students. The five Most Outstanding Readers and five Most Improved Readers were chosen out of 35,000 participants in the tri-state area…. In other Fumo Library news, the branch is hosting an informative presentation about the soda tax on Saturday, May 13 at 2 p.m. Bring your questions and a straw. …. The Evangelical Lutheran Church of the Trinity, 2300 S. 18th St., recently welcomed Dr. Allen George Biester as director of music. He received his bachelor’s of arts and master’s of arts degrees from the University of Maryland. Biester’s distinguished career as an educator has included faculty positions at Gloucester County College, the Virginia Military Institute and the Gymnázium Petra Bezrcue, Frýdek-Místek, in the Czech Republic.